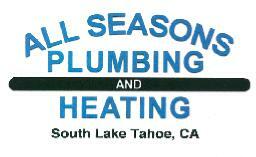 Plumbing: Professional plumber at South Lake Tahoe, we do it all, from minor to major residential plumbing repairs, replacement and new installations. Sewer & Drain cleaning, we solve your problems. Heating: Qualified Heating Technicians, from wall heater repair to forced air furnace repair. Servicing existing equipment, replacement, and complete new high efficiency heating systems. Remodels: We can help with your small bathroom or complete whole house remodel or new addition. We work well with General Contractors and/or Owner-Builders on any size residential projects. New Construction: We do plumbing and/or heating on custom homes and we have done some of the Angora Fire Victims’ rebuilds. 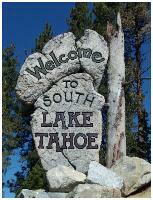 About us: Servicing South Lake Tahoe Area for over 30 years. We have the experience and understanding of Tahoe’s unique environment. We take pride in all our jobs with honest good quality workmanship at reasonable prices! * Just mention, “On Time or First Hour is Free” when you make your appointment. We will be glad to give you a 2 hour window of time for your appointment. We will either arrive during that time frame or give you a phone call to let you know of any delays during that time window. If we fail to show up or call during that time frame, for your inconvenience, we will give you the first hour of one technician for free.